American born and bred ! This flag and poll are the perfect size and great quality for my apartment. I out it just outside the patio for all to see ! I would buy this item again when it wears out. the flag needs to have a narrower place to slip on the pole. It slips off when the wind blows. Other wise it is great. The flag pole is good size for garden, but is very flimsy. It bent during a storm and when I tried to straighten it broke where it gets put together. flying on flag pole that I already own. Very disappointing. I wanted to display this because I am proud of my country. It is cute. There are not too many ways of displaying your patriotism in fashion. 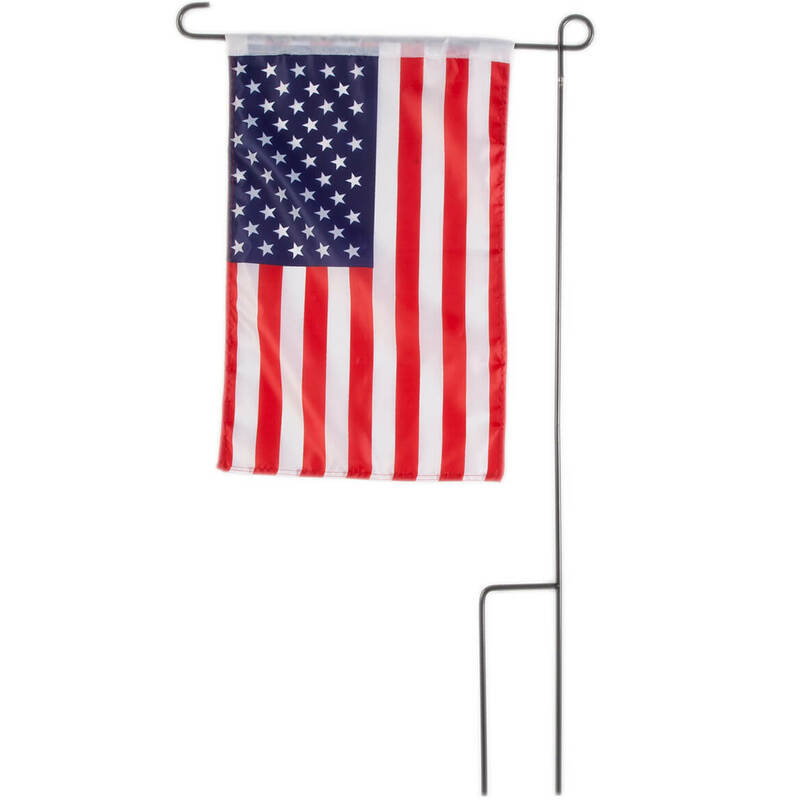 Nice strong flag pole with a flag included at a great price. To fly the flag without having to put a bracket on the house. I love that it looks like a real flag and it is the perfect size to put next to my mailbox. Plus it comes with the stake. I have these small flags that I change monthly and did not have a flag one--matter of fact, this is the first one I have seen. Thanks for having it. I live on a small court that has trees and plants in the center. We're going to use these to help decorate the center for July 4th. I like the idea of having the flag out all the time. I also purchased several solar spotlights, so the flag will always be illuminated. I'm tired of people dissing the flag and all it stands for. I'm going to display the flag proudly. To use at our campsite. To display in my front yard. Right size for that. I chose this item to show my respect for President Trump and respect and love for this country! Because pole came with it. I had bought this with my name on it first, but she prefers the American flag! Ordered this previously. Family members indicated they would like to have one, so I'm ordering another one for myself, and one for my sister and one for my daughter. Btoke while putting in ground, Not a good product. Best price I've seen for both flag and pole. Could not find this item in stores near me. To put in Flower bed on front of home. 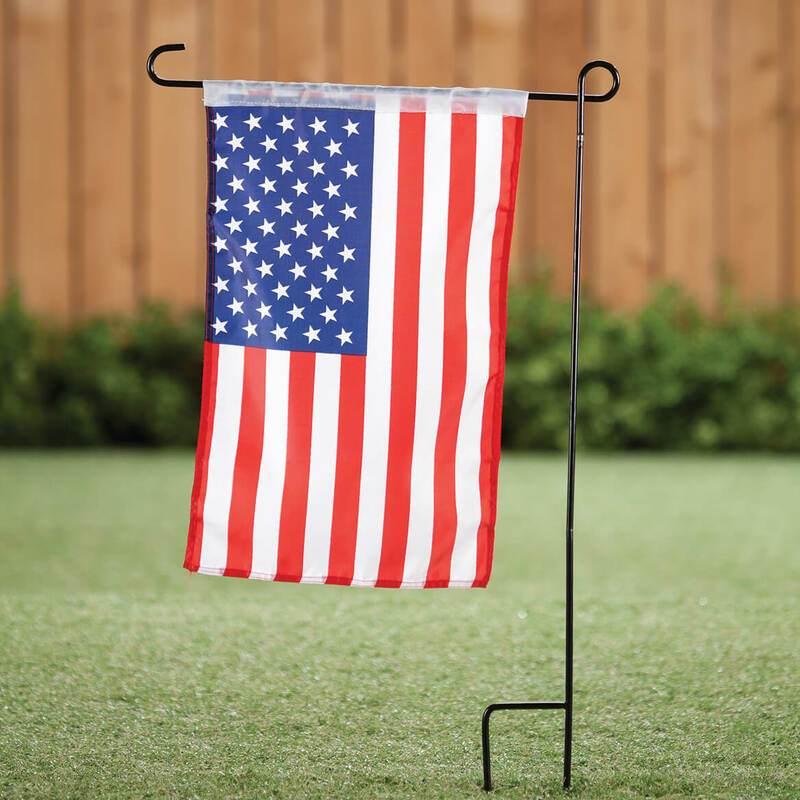 HOA restricts flagpoles.